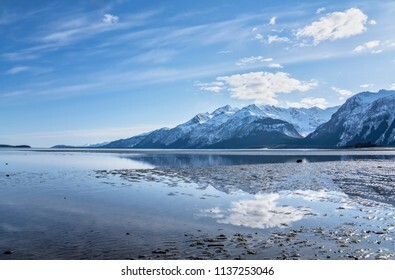 A traveler living in Alaska, I work to capture the beauty of nature and other interesting things with photography and use these in digital art. 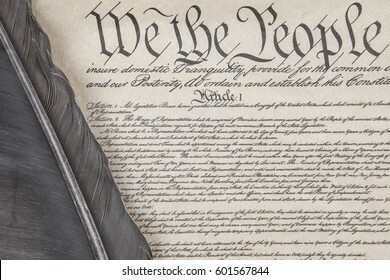 1,878 stock photos, vectors, and illustrations are available royalty-free. 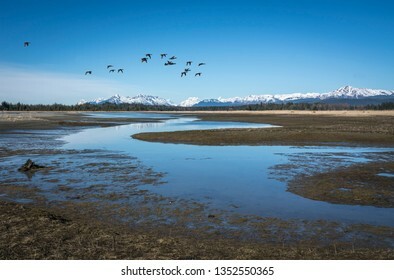 Flock of flying Canada Geese in Glacier Bay National Park in Southeast Alaska in winter. 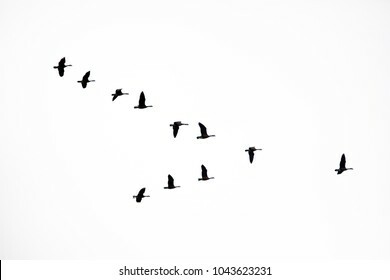 Flock of Canada Geese flying in a V formation on white. 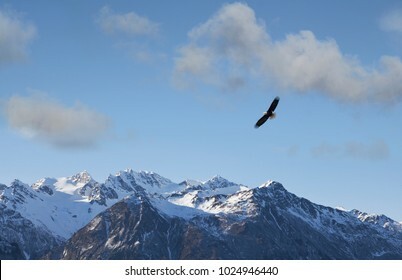 Bald eagle soaring over the Chilkat mountains near Haines, Alaska on a sunny day. 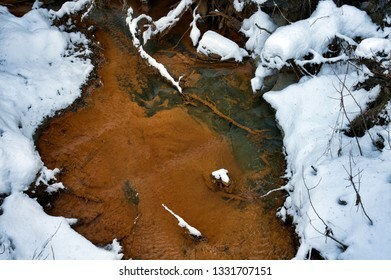 Orange creek from iron-oxidizing bacteria in winter with snow. 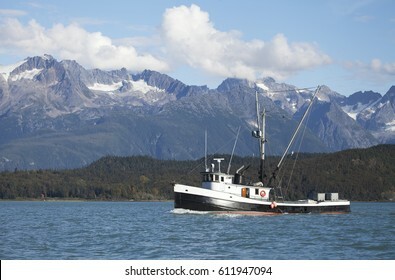 Salmon fishing boat in Lynn Canal in Southeast Alaska with mountains in the background. 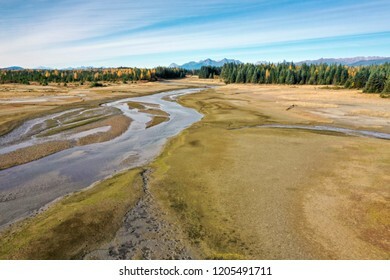 Salmon River estuary near Gustavus Alaska at low tide in autumn as seen from a drone. 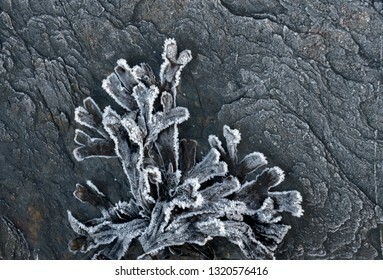 Frost covered seaweed rock kelp on a patterned rock in winter in Southeast Alaska. 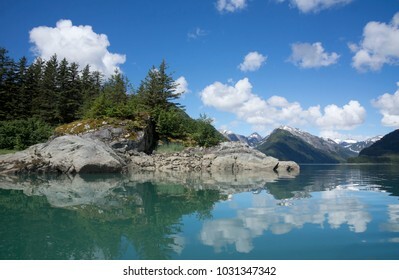 View of an arm off Dundas Bay in Southeast Alaska as seen from a kayak in summer. 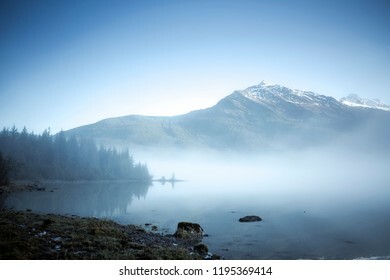 Fog lifting on a summer morning at Mendenhall Lake near Juneau. 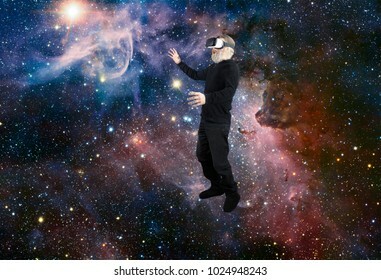 Man with VR Virtual Reality googles experiencing the wonders of space looking at a star. 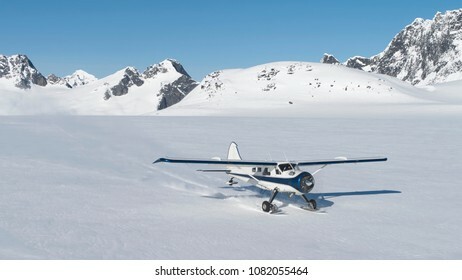 Small bush plane with skiis landing on snow in Southeast Alaskan mountains on a sunny day in spring. 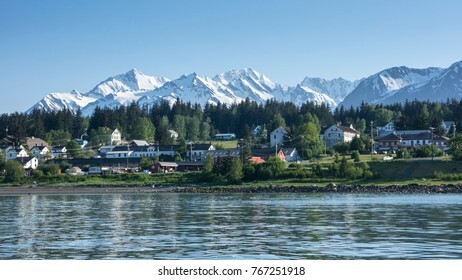 Haines Alaska from across the water with snow on the mountains. 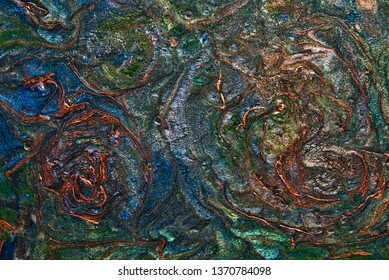 Abstract art with copper, green and blue flowing patterns. 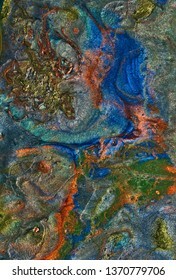 Abstract art with gold, green, orange, and blue flowing patterns. 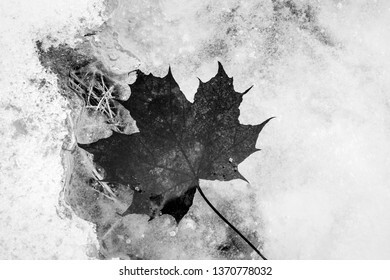 Maple leaf floating in pool of melting snow and ice in black and white. 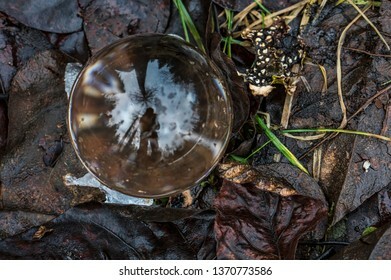 Reflection of the forest and photographer in a glass ball in winter. 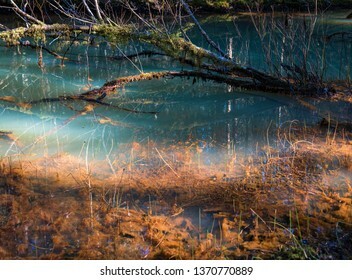 Colorful pond with plants and algae in a Southeast Alaskan rain forest near Gustavus. 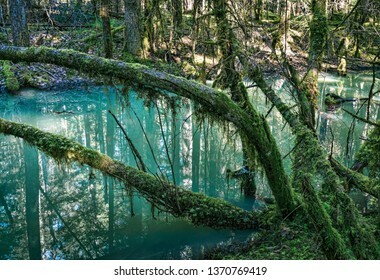 Trees covered in moss overhanging blue water of a forest pond. 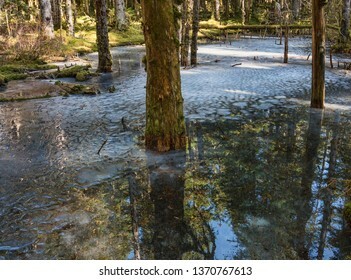 Melting snow forms a pond along the Bartlett River trail near Gustavus Alaska in early sping on a sunny day. 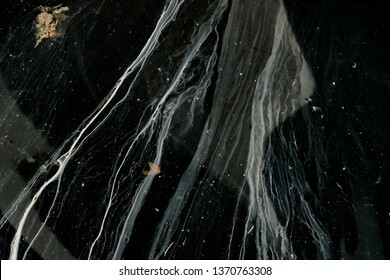 Flotaing seaweed in calm dark water with particles that look like stars. 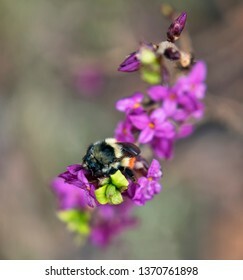 Bumble bee on a pink Daphne flower in spring in Southeast Alaska. 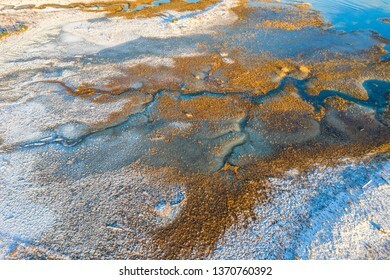 Drone photo from above the Salmon River estuary in Gustavus Alaska in winter. 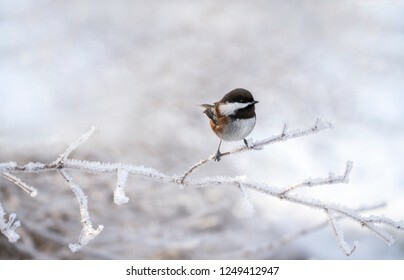 Chestnut-backed chickadee sitting on a frost covered branch in winter in Southeast Alaska. 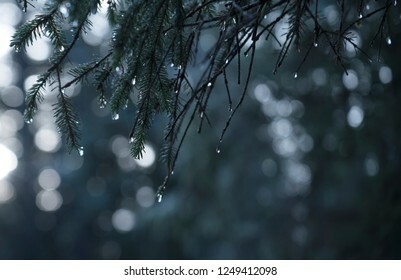 water drops on evergreen hemlock branches with bokeh in the background. 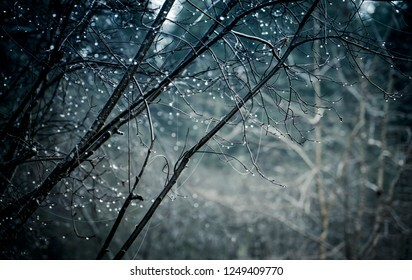 Water drops on trees forming bokeh in a mistly forest in winter. 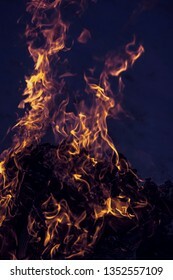 Flames from a campfire burning hot at night. 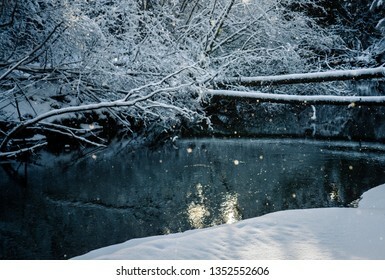 Snow falling in Southeast Alaska with sparkling sunlight at the Salmon river. 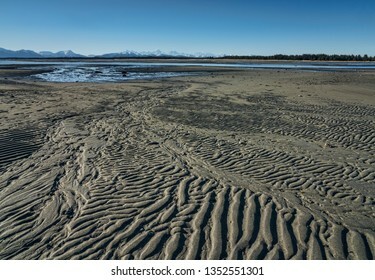 Patterns in the sand on a beach near Gustavus Alaska at low tide on a sunny day. 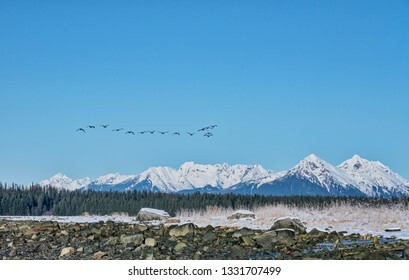 Ducks flying over the Salmon river near Gustavus Alaska on a sunny day. 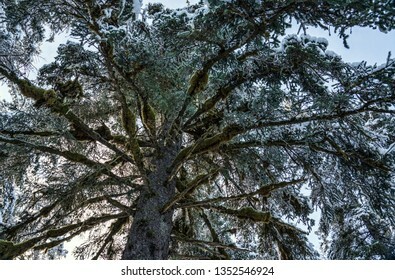 Looking up at a large old growth spruce tree with a dusting of snow on a sunny day. 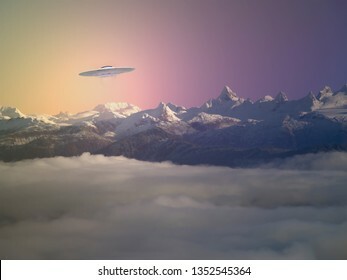 UFO flying saucer over Alaskan mountains with an odd sunset sky. 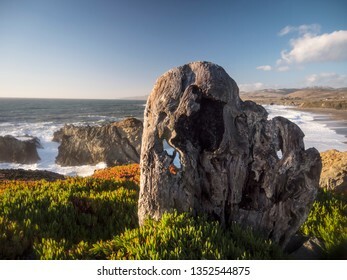 Aged driftood in the foreground with the beautiful rugged Northern California coast in the background with golden evening light. 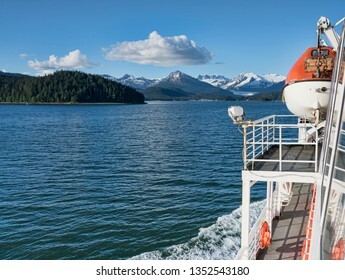 View from a ferry in Southeast Alaska in summer on a sunny day. 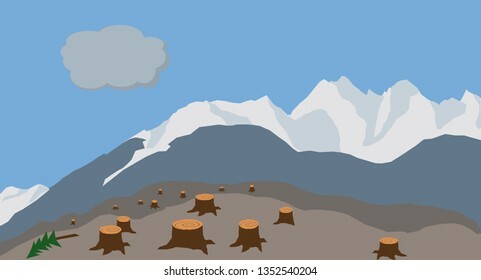 Simple drawing of a logged hillside with stumps and mountains in the background. 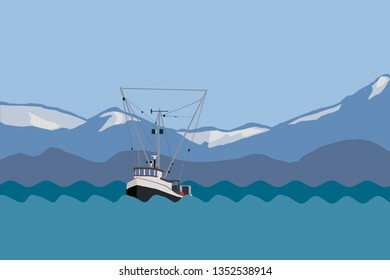 Simple drawing of a commercial fishing boat in Alaska. 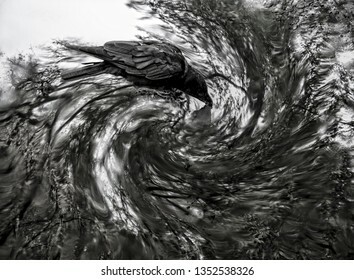 Raven drinking water with a swirl of tree reflections in a black and white artisticly photomanipulated image. 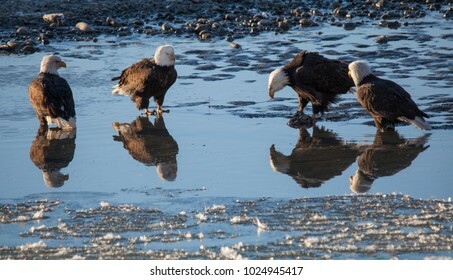 Four bald eagles hanging out in shallow water in the Chilkat Bald Eagle Preserve on a sunny winter day. 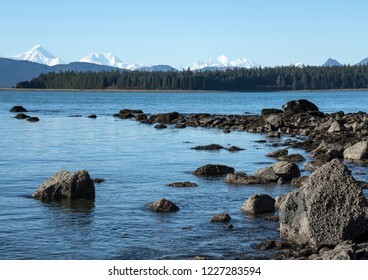 View from a hike along Bartlett Cove in Glacier Bay National Park in Southeast Alaska on a sunny day. 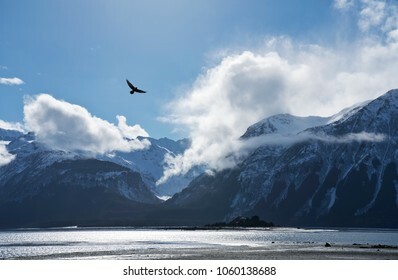 Bald eagle flying over a beach on the Chilkat Inlet on a sunny day in Southeast Alaska. 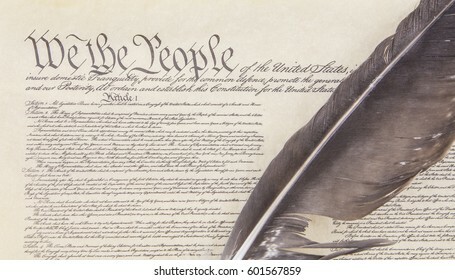 Close crop of the preamble to the United State's Constitution with an eagle feather pen. 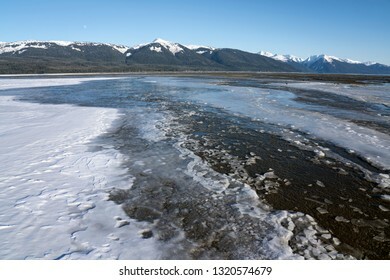 Shorebirds flying by the Salmon RIver near the entrance to Glacier Bay National Park in winter. 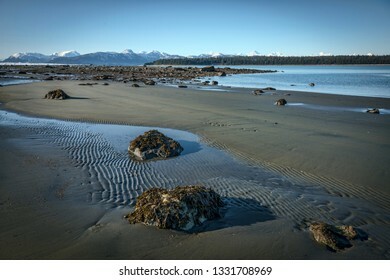 Beach near Bartlett Cove in Glacier Bay National Park at low tide. 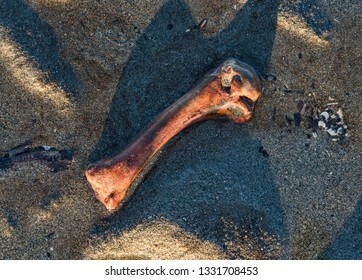 Orange bone found on a beach in daylight with weird shadows. 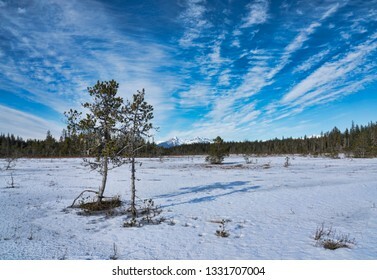 Cirrus clouds over the border of Glacier Bay National Park near Gustavus Alaska in winter. 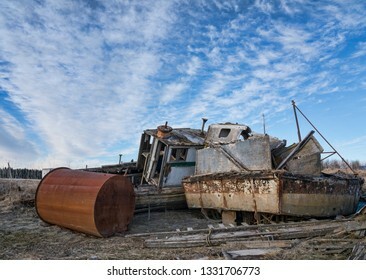 Old abandoned fishing boats near the harbor in Gustavus Alaska with dramatic cirrus clouds. 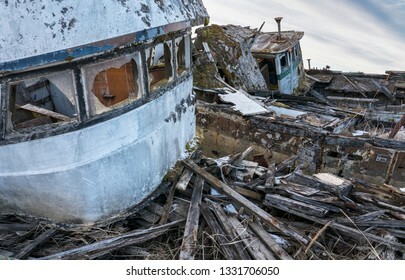 Derelict abandoned fishing boats near the harbor in Gustavus Alaska rotting in the weeds. 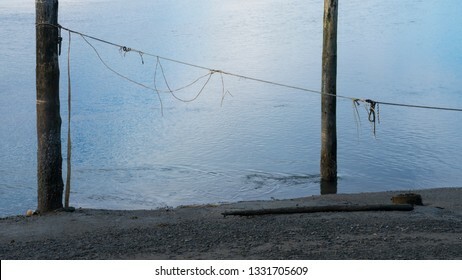 Two old wooden pier pillars with rope to secure boats at low tide on the Salmon river near Gustavus Alaska. 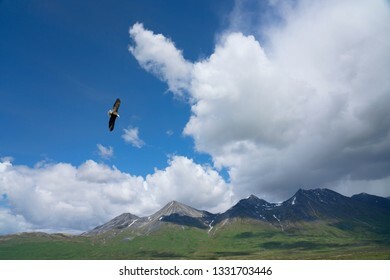 Bald eagle flying over the tundra in Canada's Yukon Territory with mountains in the background on a summer day with clouds. 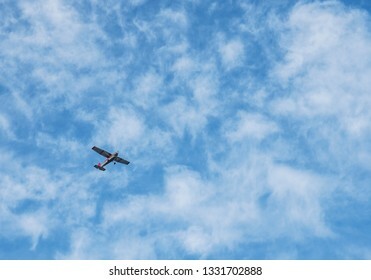 Small plane near Gustavus Alaska in a blue cloudy sky. 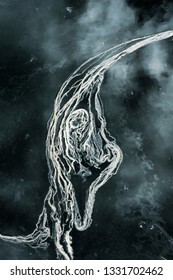 Floating seaweed in sea water in monochrome. 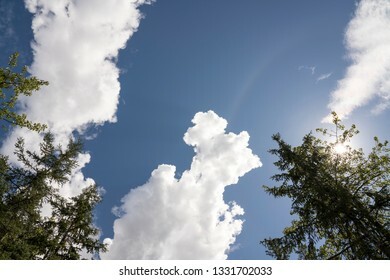 Looking up at green spruce trees with puffy clouds and the sun on a summer day in Alaska. 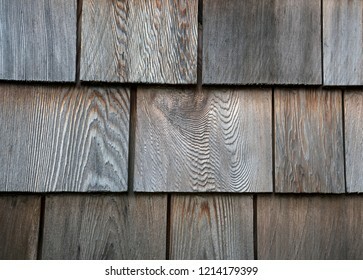 Old cedar siding shingles close up with wood patterns. 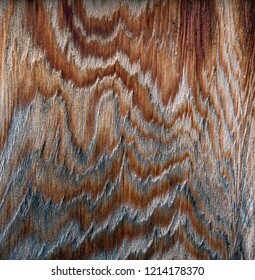 Patterns on an old cedar board close up. 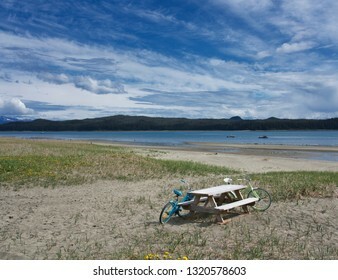 Retro style bicycles leaning against a picnic table on a beach in Southeast Alaska in summer. 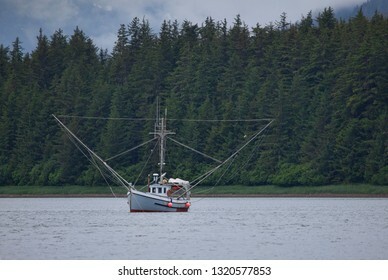 Small salmon fishing boat in a protected cove in Southeast Alaska in summer. 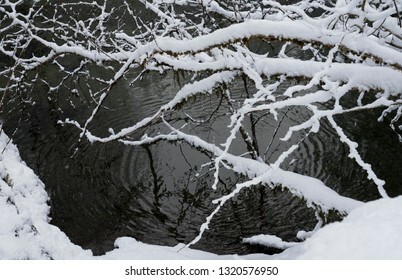 Snow on branches by a river with ripples from water drops and reflections. 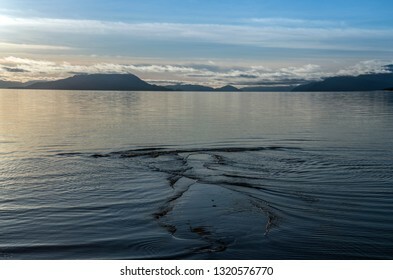 Water patterns in the outgoing tide near Gustavus Alaska at sunset. 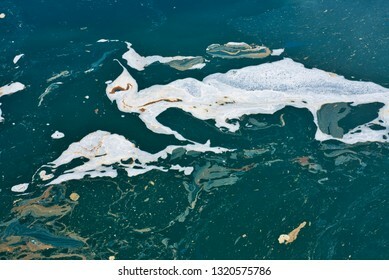 Abstract foam patterns on water in a boat harbor. 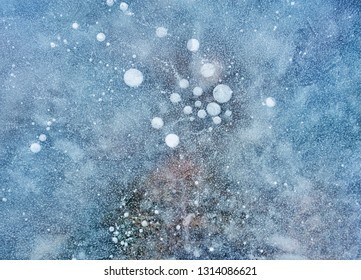 Ice and snow on a beach near Gustavus Alaska on a sunny winter day. 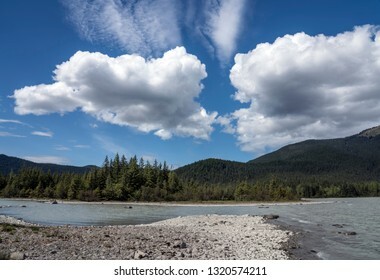 Mendenhall Lake near Juneau in Southeast Alaska in summer with dramatic clouds. 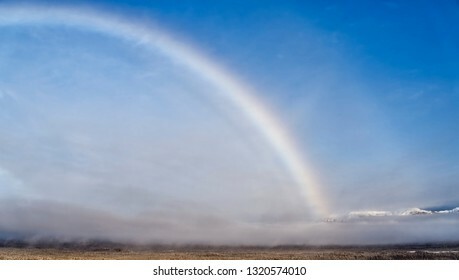 Rainbow in winter after a storm in Gustavus Alaska with low clouds and mountains with blue sky. 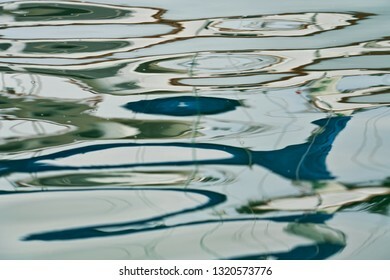 Abstract from reflection in water in blue and green. 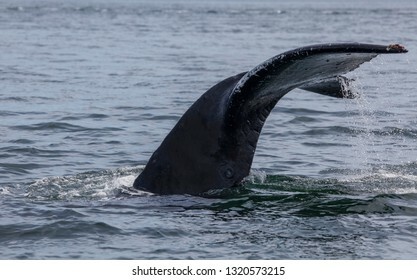 Humpback whale tale with water dripping down in Southeast Alaska. 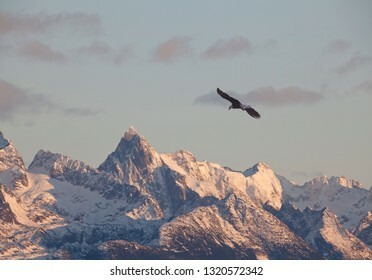 A bald eagle flying near snow covered mountains at sunset in Alaska. 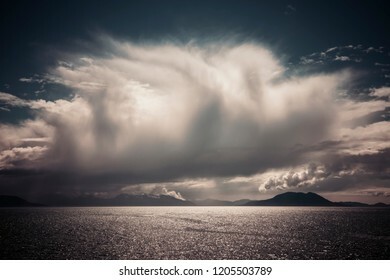 Large cloud over the sea in Southeast Alaska processed with coloration for a dramatic look. 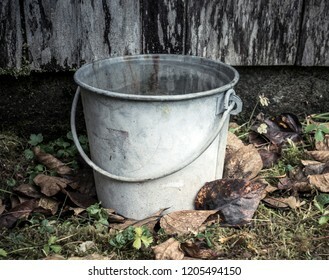 Old fashioned bucket sitting on the ground by an old wooden building with fall leaves. 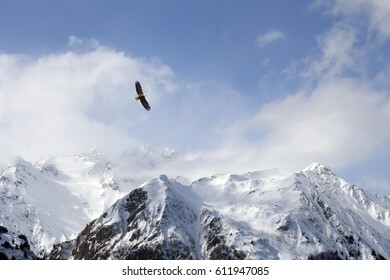 Bald eagle soaring over mountains in Southeast Alaska in winter. 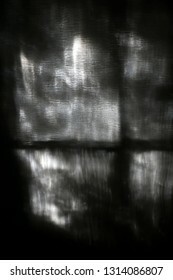 Scary window reflections in black and white. 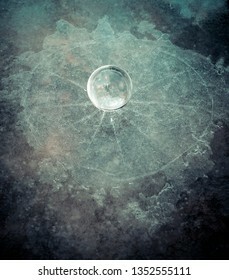 Patterns in ice with frozen ice bubbles. 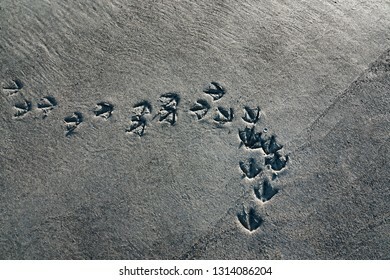 Wild duck prints in sand on an Alaskan beach from above. 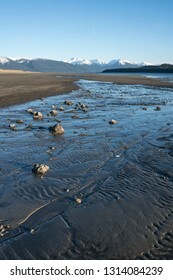 Water patterns on Gustavus Beach in Southeast Alaska on a beautiful sunny day. 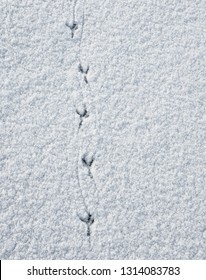 Bird tracks in snow from overhead. Chilkat Inlet near Haines Alaska with clouds over the mountains. 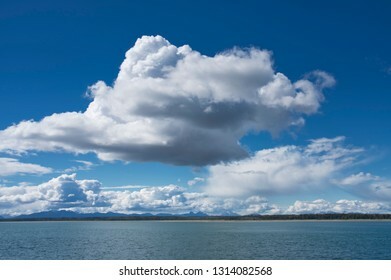 Clouds over the ocean near Gustavus Alaska on a sunny summer day. 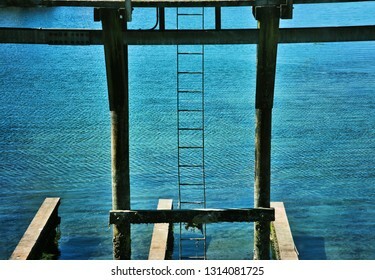 Wooden dock pillars and ladder with blue water in the background. 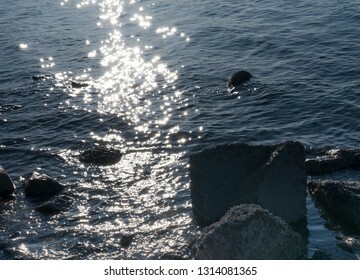 Sparkling light on the sea with rocks. 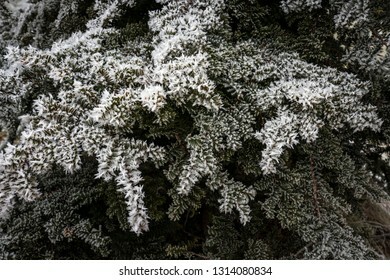 Frost on Japanese Yew needles close up. 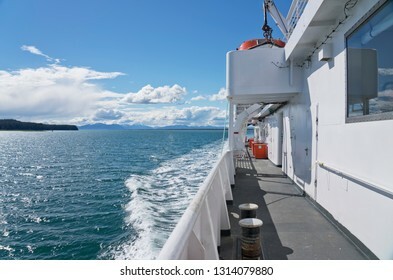 Ferry going to Juneau in Southeast Alaska on a beautiful summer day. 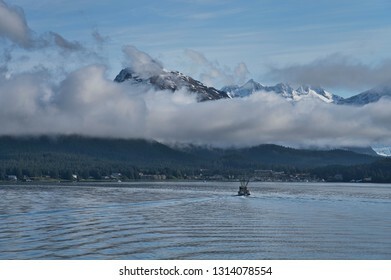 Fishing boat heading back to Juneau Alaska with clouds over the mountains. 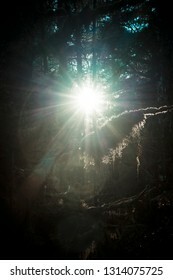 Sun shining through trees in a deep mossy forest in Southeast Alaska. 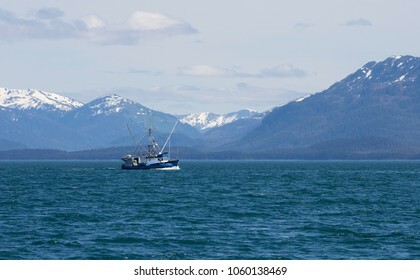 Wooden fishing boat in the Chilkat Inlet in Southeast Alaska in summer. 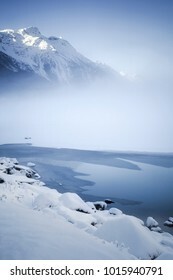 Fog over Chilkoot lake in winter with melting ice and snow. 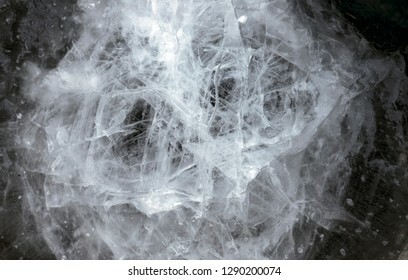 Ice patterns forming unique abstract patterns close up. 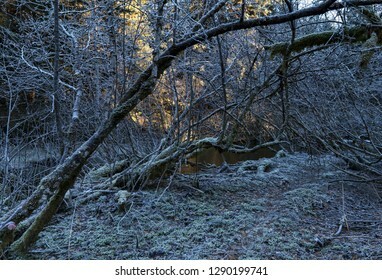 Bent alder trees with winter frost by the Salmon River in Southeast Alaska with a glow of sunlight in the background. 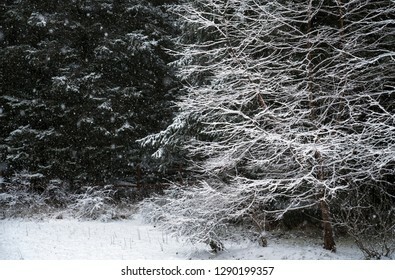 Snow falling at the edge of a forest in early winter. 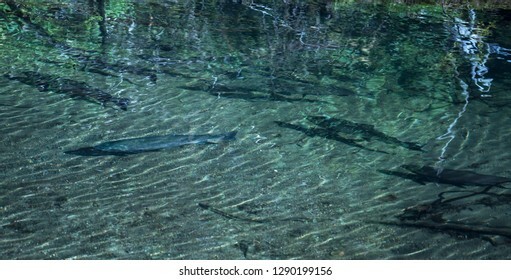 Silver salmon coming up the Salmon River in Southeast Alaska to spawn in late summer. 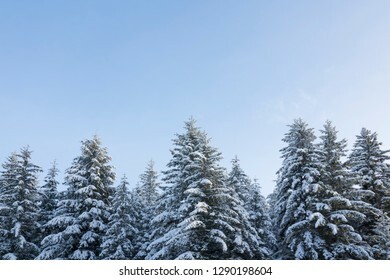 Snow covered spruce trees with blue sky in Southeast Alaska in winter. 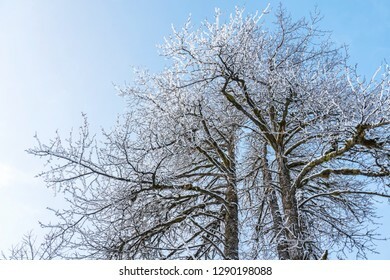 Looking up to the top of cottonwood trees lightly dusted with snow in winter with a blue sky. 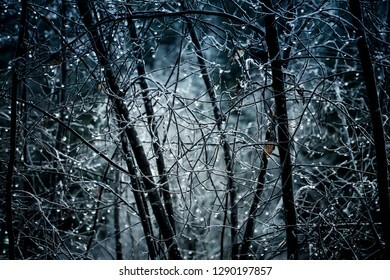 Glowing water drops on tree branches in a forest after a rain storm. 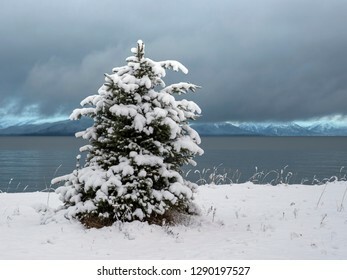 Snow covered spruce tree on the beach near Gustavus Alaska looking out at Icy Straight and mountains in the distance. 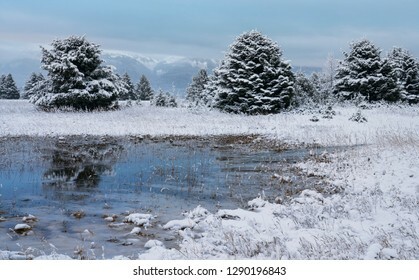 Snow on spruce trees reflected in tidal water near the beach in Gustavus Alaska. 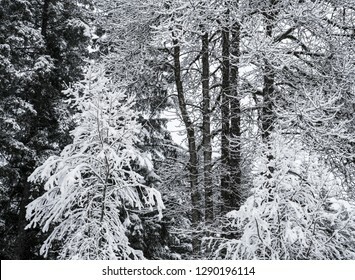 Snow on three different types of trees in a forest. Making coffee with a drip filter holder on a rustic table near a river in summer. 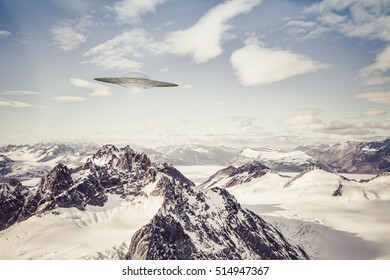 UFO spaceship flying over Alaskan mountain peaks with blue sky and clouds. 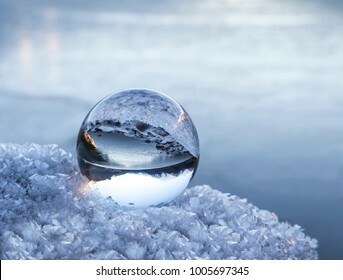 Alaskan mountains and lake reflected in a glass ball on a frosty rock in winter. 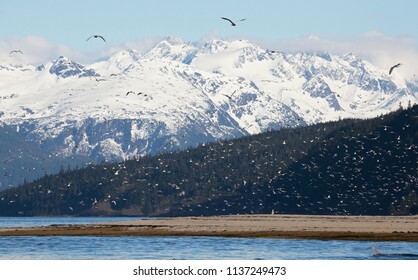 Flocks of sea gulls in spring near the mouth of the Chilkoot river near Haines, Alask during the eulachon fish run. 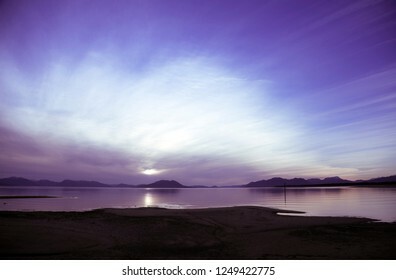 Colorful sunset on Gustavus beach in Southeast Alaska at low tide.